Penny Warner has been writing since she read her first Nancy Drew in 6th grade. Since then she has had over 50 books published, fiction and non-fiction, for adults and children. Her books have won national awards, garnered excellent reviews, and have been printed in 14 countries, including Russia, France, Spain, Germany, Holland, Australia, Canada, Indonesia, India, Israel, Poland, Japan, and China. My best-sellers include Healthy Snacks for Kids, Kids’ Party Games and Activities, Best Party Book, Games People Play, Kids’ Holiday Fun, Learn to Sign the Fun Way, Baby Play and Learn, Kids Pick-A-Party, and Kids’ Party Cookbook. Amy- Nancy brushed a strand of strawberry blond hair out of her eyes and froze when she saw the figure heading towards her on the boardwalk. Cameron- The spy who shoved me. I couldn’t have asked for a better prompt! I learned so much about writing from reading Nancy Drew mysteries, and this is a perfect example of what makes a good story—a compelling opening line. As a reader, I’m already asking questions—Who’s the figure? Why did she freeze? What’s she doing on the boardwalk? And I want to read more to find out the answers. I thought I might share a few other writing tips I garnered from reading the girl sleuth. Hope they help you writers as much as they have helped me. All stories are based on interesting characters. Introduce the character a little at a time, using action and dialogue (showing), rather than a thumbnail sketch (telling). Then give your characters conflict—happy characters make dull characters. A vivid setting pulls the reader into the story. It also intensifies suspense and becomes a character in itself. Show the setting through the character’s eyes and include all five senses, telling details, and occasional metaphors. Give a sense of foreboding through description. Mood and atmosphere give the story depth and stimulate the emotions of the readers. Use foreshadowing to give the reader a feeling of unease. Before you begin writing, outline your plot so you know, generally, where the story is headed. You can keep it simple and just jot down the major plot points of the story—where the story takes a surprising turn and how it ratchets up the suspense. Begin with the inciting incident, which starts the clock ticking. Include not only the situation, but where it takes place, and who’s involved. This is where you ask the story questions: What if….? Think about your goal as start the story and where it will lead. Today’s reader wants action, so give your protagonist opportunities to do something physical. Give her a choice between fight or flight, and when she fights—make her strong but still vulnerable. The story begins with a challenge for the protagonist. But that’s not enough. As the story moves along, something worse must happen. And just when you think it’s safe to go back into the water, things become even worse. Keep raising the stakes to keep those pages turning. If you get stuck, try reading a Nancy Drew mystery. It’s worked for me! 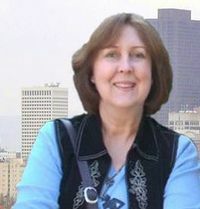 Penny Warner is the author of THE OFFICIAL NANCY DREW HANDBOOK, and the middle-grade mystery series, THE CODE BUSTERS CLUB. She can be reached at www.pennywarner.com.